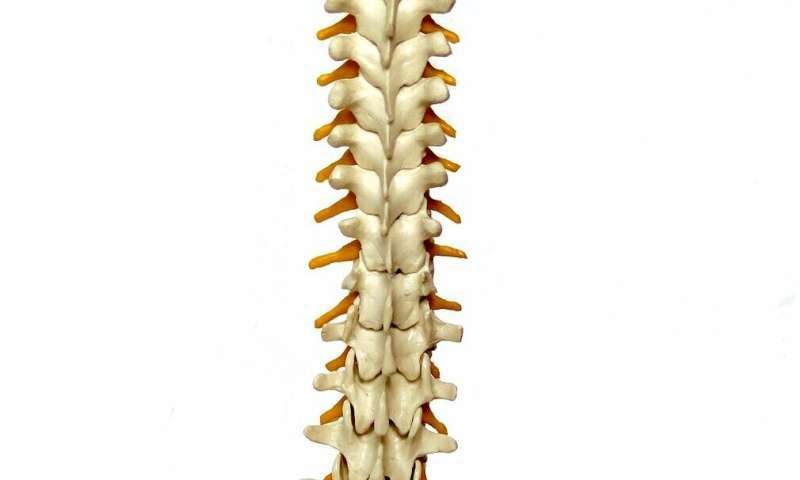 How much of our 'Pain' circuitry in in the spinal column? Since we pull our hands away from pain inducing events and the quickest path would be to use those same spinal neurons, so is there a possible target for pain control at the nerve level directly? When musicians play together do individual players move and position hands and wrists, elbows so the next note in the performance will be played on beat? Or, are even fast songs no match for the speed of messages to/from the spinal column? I've done spinal exercises extensively (pilates and yoga) and my hand control is superfine (fine artist). Note this research only scratches the surface of what the spine is capable of doing. Further research will prove its versatility and importance. If we are only now just learning that essentially some processing happens at levels outside the brain. And we have also recently found brain cells around the heart, liver and gut from what I remember. Why are we playing with genetics when we don't fully understand how the body works? Consistently, it seems, the only thing we learn is how much we do not know. I would think that genetics manipulation should not be allowed outside the experimental lab at this stage of development. Who knows what damage that could be being done to generations of people. Science belongs to everyone. But in the wrong hands its dangerous. And how its used on populations should be strictly controlled by governments not business. That said. This new information is truly amazing. "how its used on populations should be strictly controlled by governments not business." Governments murdered over 100 million people in the 20th century alone.